Touch ID debuted more than three years ago with the iPhone 5s release in September 2013, which filed filed as Apple’s very first device with fingerprint scanning embedded into the Home button. Of course, it didn’t take long for Touch ID to become an important security technology on iPhones and iPads. 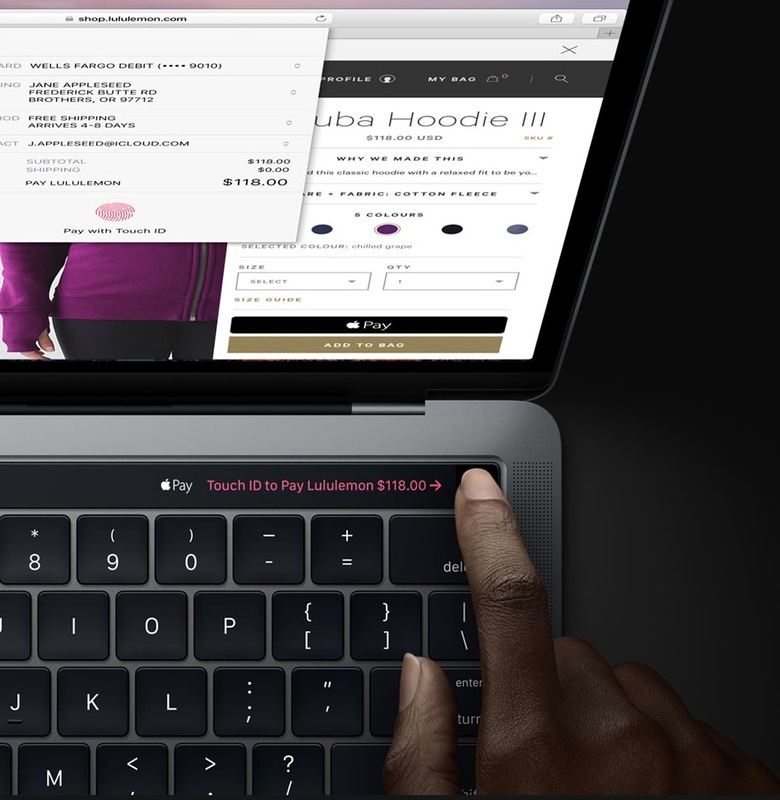 Since October 2016, Touch ID has been available on select Mac models, such as the late-2016 MacBook Pro with Touch Bar. If you use Touch ID on your iPhone, you’ll feel right at home on your Mac. In this step-by-step tutorial, you’re going to learn how to set up Touch ID and Apple Pay on a Mac, enroll your fingerprints in the system and use Touch ID to quickly unlock your computer, make purchases on websites with Apple Pay and much more. 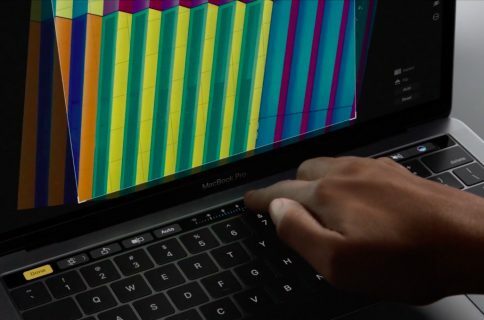 On the late-2016 MacBook Pro models with Touch Bar, Touch ID is located at the rightmost side of the Touch Bar found at the top of the notebook’s keyboard. Touch ID doubles as the Power button, too. While you can press and hold down the Touch ID button for a few seconds to put the Mac to sleep, Apple recommends choosing Sleep from the Apple menu. So, just how secure is Touch ID on the Mac? Touch ID on the Mac provides the same strong security and privacy that iOS users have grown accustomed to. 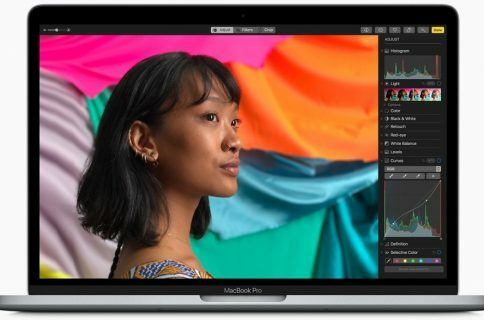 That’s because your Mac comes with a special chip that has so-called Secure Enclave which keeps mathematical representations of your saved prints, as well as Apple Pay tokens, safely encrypted. All communications between the Touch ID sensor and the rest of the system goes through that chip. The main processor, the operating system and any first or third-party apps cannot access the Touch ID sensor directly. All they get from the Touch ID subsystem is a simple confirmation upon a successful match. Apple does not save your fingerprints into the could nor does it synchronize saved prints between devices via iCloud. 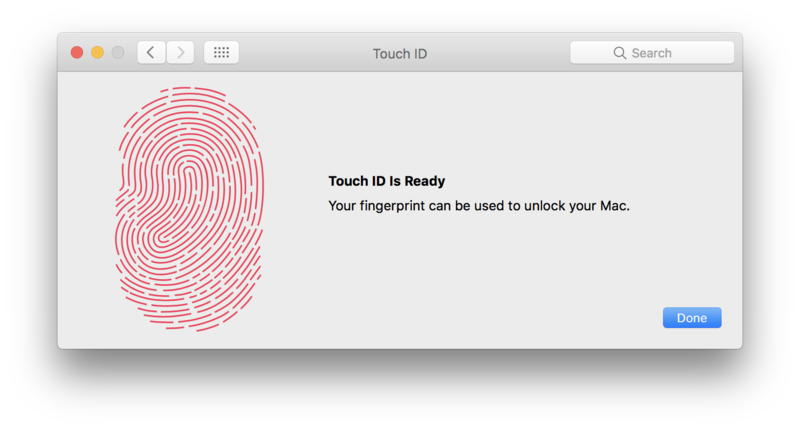 You can register up to three fingerprints with Touch ID on your Mac versus five on your iPhone or iPad. 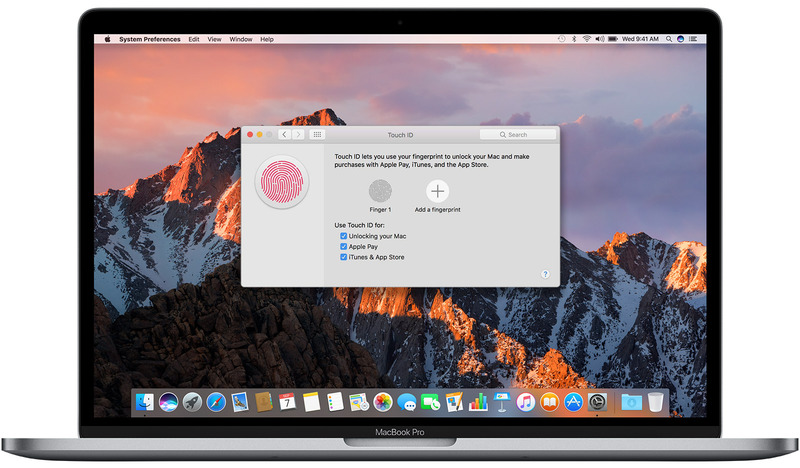 Follow the step-by-step instructions below to set up Touch ID on your Mac. 1) Launch System Preferences from the Dock or the Apple menu. 2) Click the Touch ID preference pane. 3) To register a print, click the round plus button labeled “Add a fingerprint”. 4) Type in your administrative password to continue registering a print. You will be asked to repeatedly lift and rest your finger on the Touch ID button slowly, making small adjustments to the position of your finger each time so that the system captures the edges of your print. A ”Touch ID is Ready” message appears after the fingerprint has been enrolled in Touch ID. 5) Click Done to finish setting up Touch ID. With at least one print saved, use the checkboxes at the bottom to choose specific Touch ID features that you wish to use on your Mac. 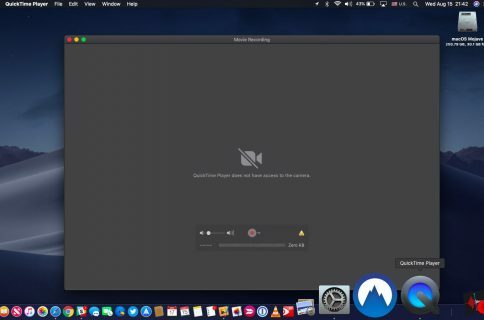 Unlocking your Mac—bypass typing your Mac account’s password on the Login screen and unlock the computer with your fingerprint. Apple Pay—use your fingerprint to make purchases with Apple Pay. 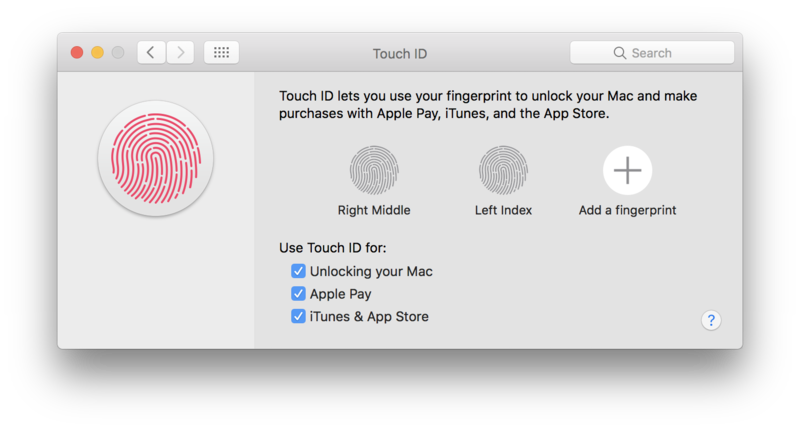 iTunes & App Store—use Touch ID to authorize purchases made on the Mac App Store, iTunes Store and iBooks Store. 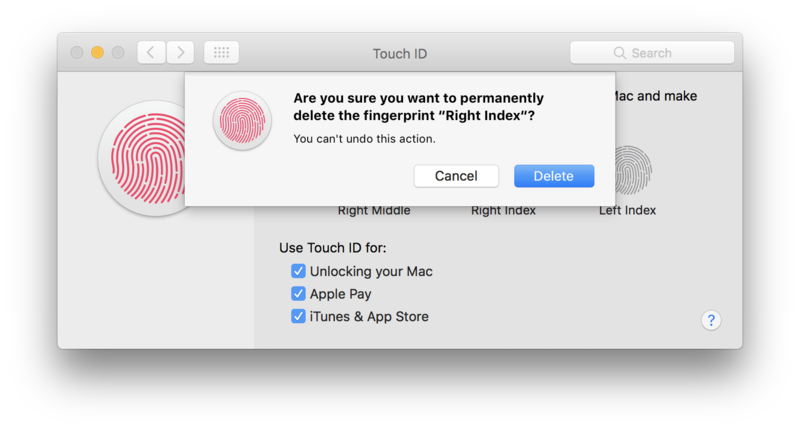 Like with your iPhone and iPad, macOS lets you name any saved fingerprint (i.e. “Middle Finger”, ”Right Thumb” and so forth) so that it’s easier to identify in the list. You cannot, however, place your finger on the Touch ID sensor to have System Preferences highlight a matched print in the list, like you can on iOS. Keep in mind that you may be asked to enter your administrative password if you’ve made changes to the fingerprints that you’ve enrolled in Touch ID. 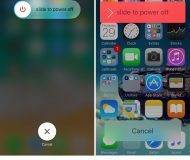 1) Open System Preferences → Touch ID and hover over a saved fingerprint that you wish to delete, then click the small “x” that appears. 2) Confirm that you really wish to unregister your saved fingerprint by clicking Delete. To use this fingerprint later, you’ll need to add it again there. Touch ID can save you from typing your account password on the Login screen. 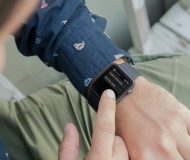 Like using an Apple Watch to unlock your Mac, you cannot use Touch ID to launch into the desktop after you restart or turn on the computer. Only after typing in your password the first time you log in after starting up or restarting your Mac can you use Touch ID to unlock your Mac after it’s awoken from sleep. After the initial password-based login, you can authenticate with Touch ID instead with your password. As mentioned in the opening section of this article, Touch ID can be used to open locked System Preferences features, the Passwords section in Safari preferences and any password-protected notes in the Notes app. And if your computer is set up for multiple users and each user account has Touch ID set up, you can use the fingerprint sensor to quickly switch to any logged-in user accounts via the Fast User Switching feature. With the iTunes & App Store box ticked in System Preferences → Touch ID, your Mac is ready to utilize your saved fingerprints for authorizing any purchases made on the Mac App Store, iTunes Store and iBooks Store. 1) Open the Mac App Store or iBooks Store app on your Mac, or navigate to the iTunes Store in desktop iTunes, then find an item you wish to purchase. 2) Click the buy button. 3) On Touch ID prompt, place the finger on the Touch ID sensor to complete the purchase. For security reasons, your Mac may ask you to enter your password on your first store purchase or if you’ve made changes to the fingerprints that you’ve enrolled in Touch ID. Touch ID always overrides your password preference for the Mac App Store in System Preferences → App Store and within the iTunes and iBooks Store apps. In other words, macOS always uses Touch ID to authenticate every paid or free download. Trying to manually change your App Store password preference while Touch ID is turned on yields a message saying that Touch ID is already enabled for All Purchases. If you disable Touch ID for App and iTunes stores, macOS will ask you to set your password preference the next time a purchase is made in the Mac App Store, iTunes Store or iBooks Store. Like Touch ID on iOS devices, your Mac’s fingerprint sensor does not work well with wet or oily fingers because moisture, lotions, sweat, oils, cuts or dry skin might affect fingerprint recognition. Due to these technological restrictions, you’re likely to experience temporary hiccups with Touch ID after activities like exercising, showering, swimming or cooking, including any other conditions or changes that affect your fingerprint. You can clean your Mac’s Touch ID sensor the same way you would clean the display: either use a microfiber cloth to remove finger oils and residue or dampen a soft, lint-free cloth with water only, then use it to clean the Touch Bar and Touch ID. Shut down your Mac and unplug the power adaptor before cleaning the sensor. You can use Touch ID to authenticate secure Apple Pay purchases on websites in Safari. Your Mac will prompt you to configure Apple Pay during the macOS setup process. 1) Launch System Preferences and click the Wallet & Apple Pay preference pane where you can add, delete or manage cards and make updates to your contact and billing information. 2) Click Add Card to associate a card with Apple Pay and your Apple ID account. 3) If your Mac has a built-in camera, you can use it to scan a new card. Alternatively, click Enter Card Details Manually to fill in your credit card information. If you already have a credit card on file with iTunes, macOS will offer to register it with Apple Pay (you’ll need to enter the card’s security code). 4) Click Next to allow your bank to verify your information and determine if the card can be added to Apple Pay. Your bank may ask for additional information to verify the card. 5) With the card verified, click Next to finish setting up Apple Pay. The newly added card now appears listed in the lefthand column. 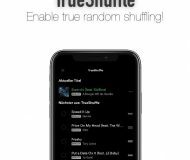 You can add up to eight cards on any device. However, macOS lets you add payment cards to only one user account on the computer. If you set up Apple Pay in your main user account and then log in under another account on your Mac that doesn’t have Apple Pay enabled, both Touch ID and Apple Pay will be unavailable to you through that account. 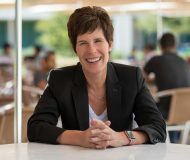 In this situation, Apple explains, you can still use an eligible iPhone or Apple Watch to complete Apple Pay transactions that you begin in Safari on your Mac. Keep in mind that cards added to Apple Pay on one device are not synced to your other devices. For security reasons, you need to specifically add a card to each device. 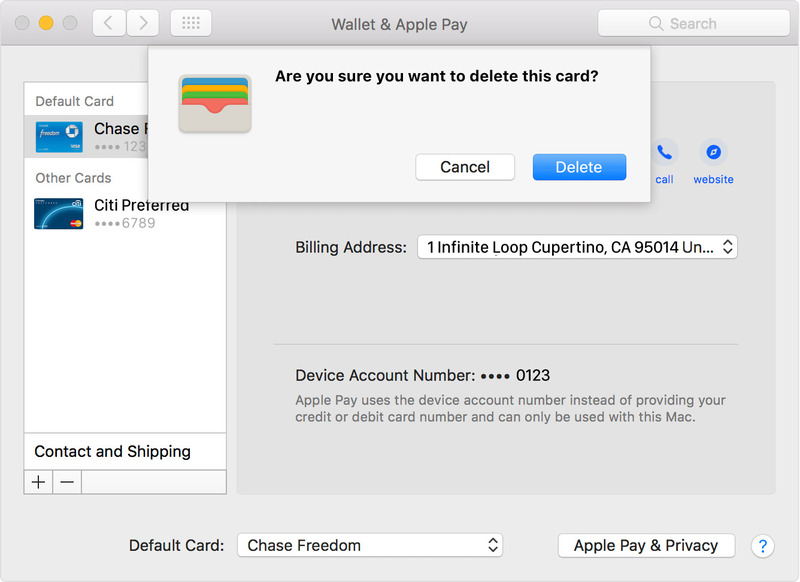 To remove a saved card from Apple Pay on your Mac, select it in the lefthand column in System Preferences → Wallet & Apple Pay, click the minus sign at the bottom and confirm the operation by clicking Delete. macOS automatically designates the first card that you add to Wallet as your default card for Apple Pay. If you have multiple cards added to Apple Pay, change your default card easily in System Preferences → Wallet & Apple Pay, then choose a new card from the Default Card pop-up menu. You can change your billing information and email address at any time. 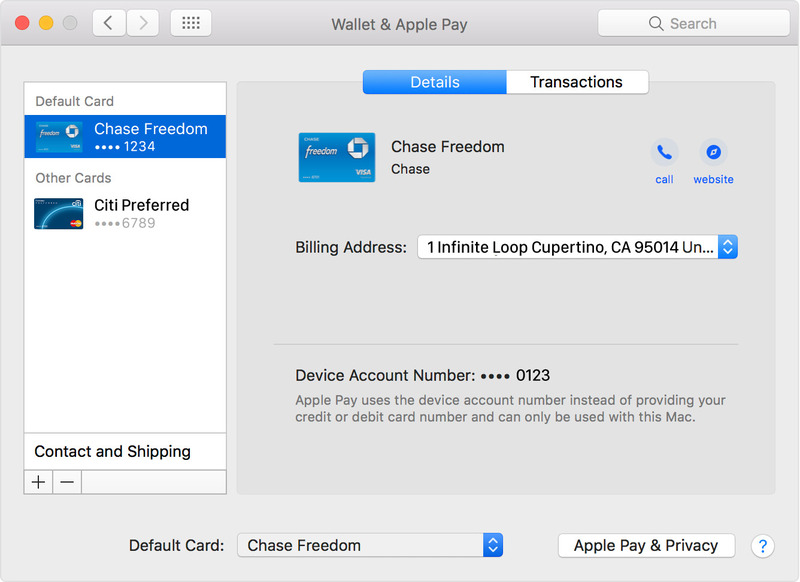 Go to System Preferences → Wallet & Apple Pay, select a card in the lefthand column then click either the Billing Address or the Contact and Shipping popup menu. macOS Sierra let you use Apple Pay on supported websites in Safari. You can also pay on websites in Safari on a non-Touch ID Mac, through your iPhone or Apple Watch. In fact, any user who has Apple Pay ready to go on their iPhone or Apple Watch can use their previously saved cards on websites in Safari on your Mac, as long as they’re signed in to the same iCloud account. 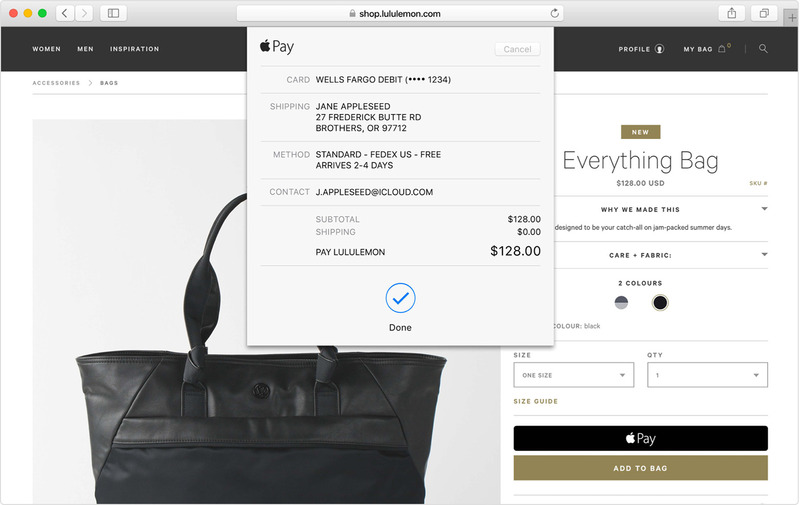 1) In Safari, navigate to a website that accepts Apple Pay payments. Add products you wish to buy to the cart, then click the Buy with Apple Pay or Apple Pay button at checkout. 2) A sheet pops up with your billing, shipping and contact information. If you didn’t provide this information during the Apple Pay setup process, simply enter your billing, shipping and contact details on the form and Apple Pay will automatically store this information so you won’t need to enter it again. Tip: to pay with a different card, click the arrows next to your default card in to select the card you wish to use for this particular purchase. 3) Authorize your purchase by placing one of the registered fingers on the Touch ID sensor when a prompt appears on the Touch Bar. A checkmark followed by “Done” appears when the purchase is completed. Tip: If Touch ID is disabled on your Mac, click the Apple Pay icon on the Touch Bar and follow the prompts on the screen. 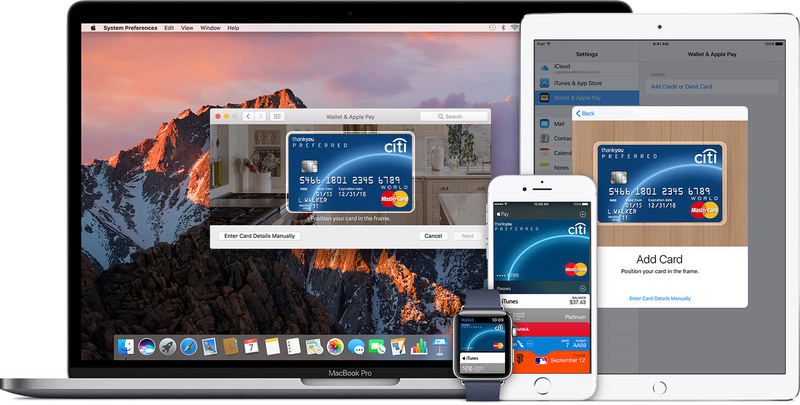 To see up to ten last Apple Pay transaction for any registered card, select the card in System Preferences → Wallet & Apple Pay → Transactions. Your bank may only display the transactions made from your computer or you might see all transactions made from your credit or debit card account, including those made from all Apple Pay devices and your plastic cards. Keep in mind that you might see different transaction amounts from locations such as restaurants, gas service stations, hotels and car rental companies because some banks provide only initial authorization amounts to Wallet. 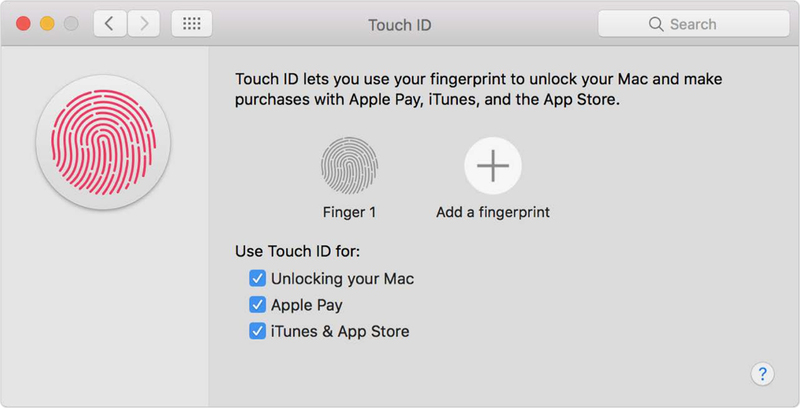 Do you use Touch ID and Apple Pay on your Mac?